1 What Is Neem Oil? 3 Is Neem Oil Safe? Something that’ll prevent pests, diseases, and make our lives easier out there in the garden. 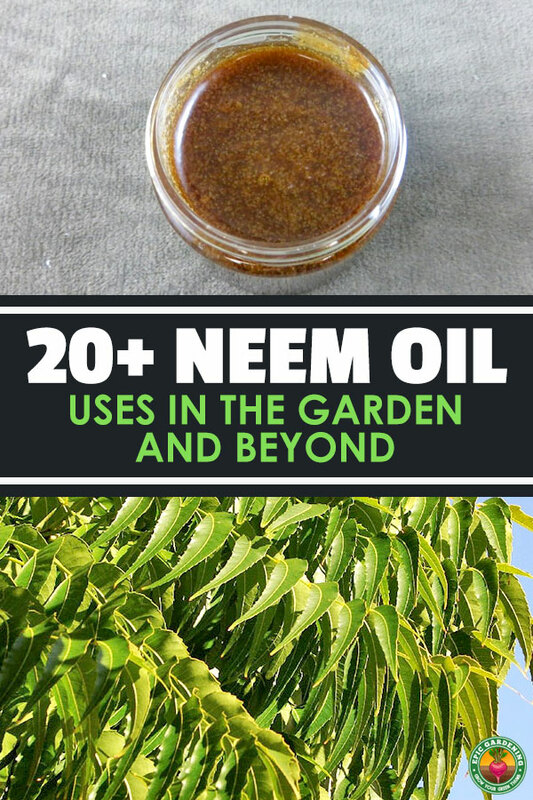 A long-time favorite of both beginner and veteran growers is neem oil. But what is this “magical” substance exactly and how does it work? Is it safe? Can you use it for anything else? 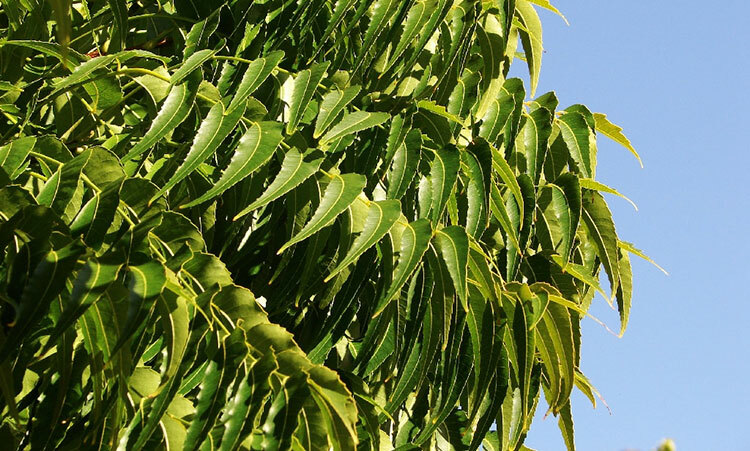 In this article, we answer all of these questions (and more) about neem oil and its uses, both in the garden and out. The Azadirachta indica tree, source of neem oil. Neem oil comes from the Azadirachta indica plant, which is native to the Indian subcontinent. Both the seeds and fruits of the neem plant are pressed to get the vegetable oil we call neem oil. Because of the popularity and versatility of neem oil, the Azadirachta indica is cultivated all across the world’s tropical climates. 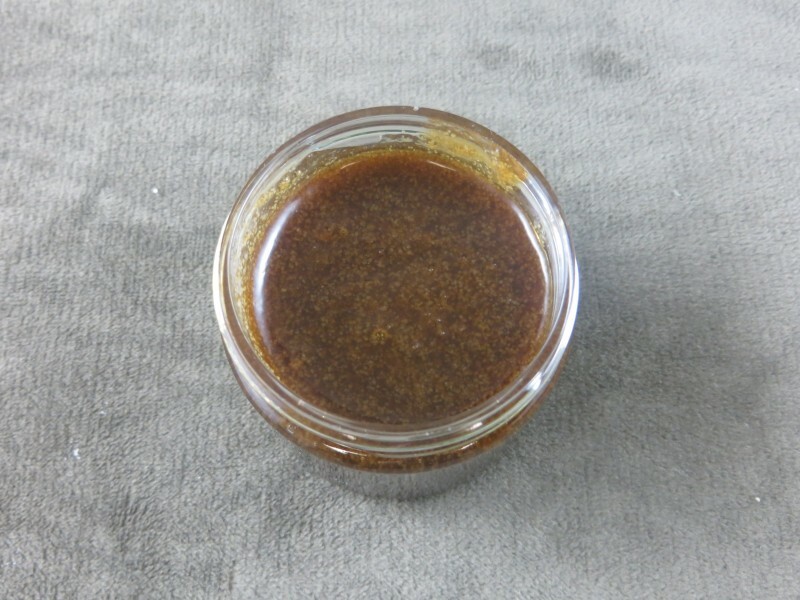 In the picture above, you can see the typical appearance of neem oil. It comes in a variety of colors from yellow, to brown, to even a vibrant red. It smells like a combination of peanuts and garlic, making it a pungent fragrance that might bother your nose if you’re a sensitive smeller. As far as its composition, it’s mostly triglycerides. Because it’s an oil, it doesn’t mix well with water and must be mixed with some kind of surfactant to make it suitable for application in the garden. While there are many compounds in neem oil, the most well-studied is azadirachtin. Depending on the extraction process, neem oil can have anywhere from 300-2500 ppm (parts per million) of azadirachtin, meaning it’s important to know how the neem oil you buy is extracted. 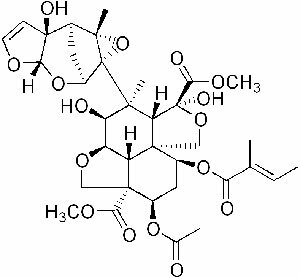 When azadirachtin was first studied, researchers noticed that it caused desert locusts to lose their appetite, meaning less damage to crops and plants. After further study, it was discovered that 200+ types of insects are affected in a similar manner, mainly by either suppressing their urge to feed, or stunting their growth in some way. This makes it extremely powerful for us gardeners! When using any kind of pest and disease prevention, it’s a good idea to understand how toxic it might be to things that we don’t want to kill. Most people will have a slight irritation response to neem oil in their eyes or skin. However, if ingested, the azadirachtin can be quite irritating to the stomach. The other compounds in neem oil are recognized as safe by the UDSA and other regulatory bodies. Children may be more sensitive to neem oil, as they’re typically more sensitive to pesticides in general. Remember, neem oil inhibits feeding for bugs that like to munch on your leaves…none of the above do that! So as long as you don’t over-apply neem to your plants, you shouldn’t harm most of the beneficial bugs in your garden. But what about below ground, where earthworms thrive? You might be surprised to hear that using neem actually helps earthworms. While traditional chemical pesticides can harm earthworms, neem oil has the opposite effect by encouraging earthworm activity. So, spray away! Using neem oil is simple, but you’ll need to either buy a pre-prepared neem spray, or mix your own. Fortunately, both options are easy to do! To adjust this to a larger batch, just multiply this recipe by how large you want to make it. Make sure to cover both the bottom and tops of the leaves of your plants. Most of the annoying insects like to hide on the undersides of your leaves and within the nooks and crannies of the stems and leaf nodes. Spray it on your soil as well, as it prevents nematodes and helps your soil quality. Use neem oil as soon as possible after making it as the active compounds break down within eight hours. Every time you spray, you should make a new batch of neem oil. This means that you should feel free to use up your entire bottle every time you spray! If you’re using neem spray to prevent pests, you can spray with a 0.5% solution once every two weeks. If you’re using it to combat an existing infestation, use a 1% solution once a week until the problem is gone, then switch to a 0.5% solution every two weeks. There are a whole host of reasons to use neem oil in your garden, but here are some of the most compelling reasons. If these don’t convince you to add neem to your gardening toolkit, I don’t know what will! Because it’s derived from the neem tree, it’s a biodegradable compound and breaks down quickly. Most neem oil products are simply water, neem oil, and some kind of solvent or surfactant to help the oil and water mix together. Part of the reason using synthetic pesticides is frowned upon is the effect that they have on groundwater. They can contribute to toxic runoff similar to over-application of fertilizers. BEcause neem oil breaks down so quickly and is non-toxic, you won’t have to worry about any pollution issues. We all know that it’s important to protect pollinators like bees, butterflies, and other beneficial bugs like ladybugs. Won’t neem kill these off as well? Nope! If you don’t over-apply neem, they’ll be just fine as they don’t eat the leaves of your plants. Neem oil primarily attacks bugs that feed on plant material by inhibiting their feeding and causing them to die off. Most conventional pesticides will kill off earthworms, removing a vital piece of your soil’s ecosystem. Neem won’t harm them — in fact, they’ll thrive in a neem environment! You need earthworms in your soil for their castings and their ability to aerate your soil. Most synthetic insecticides create dead zones where they’re sprayed. These are zones where no insects — beneficial or otherwise — will survive. This is no good for the biodiversity of your garden and soil! Because neem targets a specific category of insect, it will only create a dead zone for the pests you don’t want in your garden. If you haven’t dealt with nematodes in the garden…you’re lucky. They can decimate your plants, but new research has shown that extracting neem in a specific way can help control one of the most harmful nematodes — root-knot nematodes. It prevents the larvae from hatching, stopping the reproductive cycle. Surprisingly, neem spray can also prevent mosquitoes from buzzing around your head in the garden. They aren’t a fan of the garlic-peanuty scent and will stay away from an area sprayed with neem. Also known as lawn grubs, these annoying little buggers are a destructive garden pest. There are many ways to prevent japanese beetles, but disrupting their growth cycle with neem oil is an incredibly effective strategy. The best time to spray is at night, then reapplying after a sprinkling or rainy day. One problem of synthetic pesticides is that bugs can build up a tolerance or resistance to certain substances. So far, it’s not been reported that insects have built up resistances to neem use, meaning it’s a future-proof solution. Contact pesticides will usually accumulate in soil and water, making them harmful to pets and critters that live in the area. Because neem oil breaks down so quickly, it’s not present long enough to cause problems for pets and wildlife. Even if they do ingest it, it’s not harmful to them. Because neem kills insects no matter where they are in their lifecycle, you can use it in a variety of ways. You can use it as a foliar spray, apply it over the winter, and use it as a soak. There are a few pests (caterpillars, aphids, mites) that survive or go dormant over the winter, so if you can attack them during that season you can prevent a lot of headaches come spring. You might not be familiar with neem cakes, but they’re just the byproduct of extracting neem oil. They’re crushed neem fruit and seeds, formed into cakes. They retain some of the pesticide properties of neem oil itself, but are also organic matter that wil break down in your soil ove time, adding more nutrition to the oil. As a houseplant addict, I want to make sure my babies are healthy and not overrun by common houseplant insects like mealybugs or aphids. Neem spray works perfectly well indoors to combat these annoying bugs, so you can feel safe spraying it indoors to treat your houseplants. Greenhouses are amazing ways to extend the growing season and create the perfect environment for your plants, but unfortunately are also great environments for pests. Many pesticides are dangerous for use in an enclosed environment like a greenhouse, but neem can be safely used in a variety of formats. You must spray on a weekly basis until you see a significant decline in the fungus, then spray twice a month to prevent further occurrences. Fire blight is one of the most annoying bacteria to infect your plants, as it causes them to look like they were burned to death. Neem oil can prevent and control fire blight, but you must apply it during the dormant season. Because neem is non-toxic and breaks down quickly, you can use it even up to the point where you harvest your plants. All you need to do is give them a quick wash to rinse off any neem still on the plant. You don’t even need to worry too much about this rinsing process, as ingesting a small amount of neem won’t harm you at all. With a substance this effective in the garden, it’s natural to wonder if it has any uses outside the garden as well. Surprise, surprise — it does! As mentioned before, neem oil is full of fatty acids and triglycerides, making it a powerful skincare supplement. It’s used to moisturize and heal cracked skin without making your skin appear shiny and oily. Many beauty companies and natural health stores carry neem-based skin products to help with skin elasticity as well. If you suffer from acne, rejoice! Neem mixtures have been used as an acne prevention remedy for decades due to its antibacterial properties. Yes, the same neem oil that can prevent fire blight in the garden can also prevent blackheads on your face! Pretty amazing, right? The antibacterial, antifungal, and anti-pest properties of neem make it ideal for use as a shampoo for pets as well. Both dogs and cats can benefit from a pet shampoo with neem added to it. When used on dogs, neem can prevent and treat mange mites, ticks, fleas, and other annoying pests. Cats are a bit more sensitive and not every dog-approved neem product is safe to use with cats. This is because they self-groom constantly, unlike dogs. Many neem shampoos also contain other oils, like tea tree oil, which is toxic to cats. If you’re going to use a neem oil shampoo with cats, you must make sure there are no other essential oils included. If I don’t have neem oil only leaves. What can I do to kill insects on my peppers plant? Thanks for this very complete blog entry. I recently bought Neem oil and have applied it twice to my basil who has some kind of sickness, the leaves are falling and are full of black, white and yellow dots. I don’t see any insect even though I’ve looked through the plant. Anyway, I hope Neem oil helps!